Developers who want to make Android apps for cars now have a better way to visualize them. 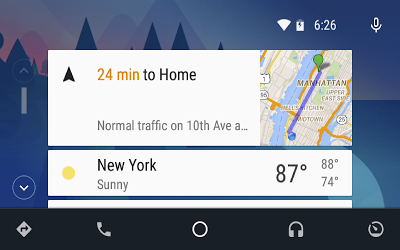 The Android Auto team has announced an emulator they’re calling Desktop Head Unit (DHU). Much like an Android Auto head unit in a car, the DHU lets developers plug an Android handset into a computer to get a clear idea of what is going on with their Android Auto app. Once plugged in, the phone will go dormant while the DHU takes over — just like it would in the car. To download the DHU, head over to the Android SDK manager. In Extras, you’ll see the DHU; the download will be installed in <sdk>/extras/google/auto/. Hopefully, this means more Android Auto apps will hit development. In turn, lets hope Android Auto head units drop in price, and it finds its way to more cars rolling off assembly lines, too.